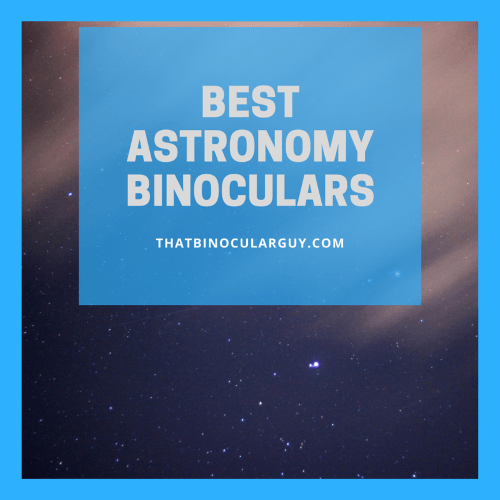 Best Astronomy Binoculars Reviews 2018: Choosing the right pair | Best binocular Reviews for birding hunting And Stargazing ! ​Using a good pair of astronomy binoculars is critical to ensure you enjoy stargazing as a hobby. It is less expensive and a lot more portable compared to the heavier and bulkier telescope. With this tool, you can be able to do your stargazing anywhere you want. To help you choose which stargazing binocular will be great for you, here is a list of the top three pairs for the best stargazing experience. Check out their reviews below to select which one will suit you best. 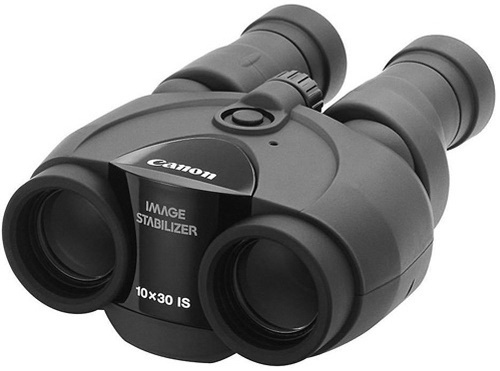 ​The Canon 10×30 IS Compact binoculars are equipped with image stabilization (IS) technology. This will reduce the blurriness that is caused when holding a large objective size binoculars in your hand. Which means you will be able to find Proxima Centauri much easier, and you won’t lose it as easily. In order to use this feature, simply push the IS button on the binocular. The image you see will give a slight jerk before freezing, allowing you to observe stars, comets and asteroids with minimal fringing or haze around it. The push button is a good feature because you will not accidentally leave the IS on, making you preserve the battery. 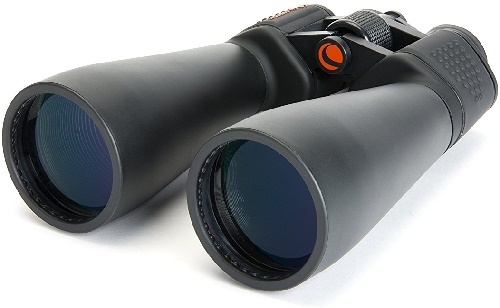 ​Water Resistant Coating – this feature is very handy in case you want to use these binoculars for other types of viewing like wildlife or for hunting and get caught in a rainstorm. ​All in all, the Canon 10×30 Ultra Compact Binoculars is a great bargain. For a reasonable price of $350, you will be able to see crystal clear images without blurring or haze around stars. ​The Celestron SkyMaster Giant 15×70 Binoculars comes in a classic Porro prism design and is equipped with a tripod adapter. This model is great for anyone who loves the idea of a telescope, but wants something that is easier to move around when searching for the Vela Pulsar. With the tripod adapter, take these binoculars anywhere for extended viewing is a breeze, without the exhaustive set up and limited view of a telescope. Images will be sharp with minimal blurring at the outer edges of whatever you are viewing. Aside from the adapter, this model has a high quality BaK-4 prisms and diopter for smooth fine tune focusing. You get all these fine features for just under $100. The Celestron Skymaster Giant binoculars are great for beginners and junior astronomers who tend to tire quickly after holding it up for a few minutes. They also offer long eye relief for eyeglass wearers and can be held by hand for exceptional viewing. ​The Orion 09351 UltraView 10×50 Wide-Angle binoculars is a highly recommended pair both for beginners and long-time astronomy enthusiasts. For a price below two hundred dollars, you will be able to enjoy this model along with its high quality features and materials. 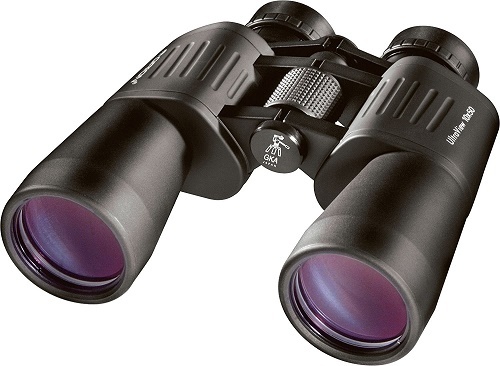 These binoculars come with superior optics and lens coatings that allow for maximum light gathering. This makes the BaK-4 prisms deliver crisp, sharp images of your favourite celestial bodies even in low-light conditions. With this binocular, you will be able to see more of the night sky than with a telescope. There is also virtually no distortion or haze around stars, even the really bright ones. This is because of its wide angle feature. It is equipped with a really long eye relief that is specially designed for eyeglass wearers. The standard LER is around 13mm to 15mm. But for this model, it has an amazing 22mm eye relief. All these features are wrapped in a rugged metal body, ensuring that the model is really sturdy and durable. It also has a wide neck strap to safely carry them. It has a rubberized armor, ensuring that you are able to keep a secure grip on them. This is ideal for junior or beginner astronomers who might be a little hard on them. The Orion UltraView 10×50 Wide Angle astronomy binoculars also has a threaded socket for a tripod adapter for smaller hands and arms that tire easily. ​Buying astronomy binoculars is a great alternative to the regular telescopes. If you want to see stars, you can opt for a good pair of binoculars for astronomy. They are way lighter and more portable than a telescope. You can practically carry them anywhere you want. You would not be strapped to a single place to do your stargazing activities. Aside from this, you will also be able to save more money as they are less expensive. You may also use them for other purposes like wildlife viewing, bird watching or sporting events, too. When reading astronomical binocular reviews, there are some things that you should take into consideration. This is to ensure that you are choosing the right pair to suit your needs and purposes. Before purchasing, always give the product a thorough inspection. ​The important thing that you need to do is to inspect the lenses. You should remember that the darker the reflection in them, the higher quality of the optical coating. Do not buy those that have a white reflection on them as this means that the lens has no coating. Do not be fooled by the terms “ruby coating” and “multi-coated” as they are just marketing terms and do not indicate a better quality lens. ​When inspecting the lenses, look at the exit pupils. They should be uniformly round and very bright. This would indicate that higher quality prisms were used. The best prisms are made with BaK-4 glass. Look through the lenses too to check the images. If you cannot merge two images into one, the optical alignment is off. ​Check the field of view. A little distortion on the images is okay, but in general everything should be sharp. This is essential so that you will not have rays or spikes radiating out from a star when viewing it. ​Another thing that you should also consider is the weight of the lenses. For a junior astronomer, the model with an H body type would be the best choice. They are more compact and lightweight which is good so that it will not tire them easily. A more experienced stargazer may prefer the classic look and feel of a Porro prism style body. He can also handle the extra bulk. If you are looking to read more about the best binocular brands for 2018, you can continue by clicking here. Take Me To Deals And Discounts! Best Binoculars Guide For Sports, Events, Indoor And Outdoor Games ! Copyright 2017 by That Binocular guy.